It looks like an insect, doesn't it - but it isn't. It is in fact a completely empty shell, translucent and gossamer thin. 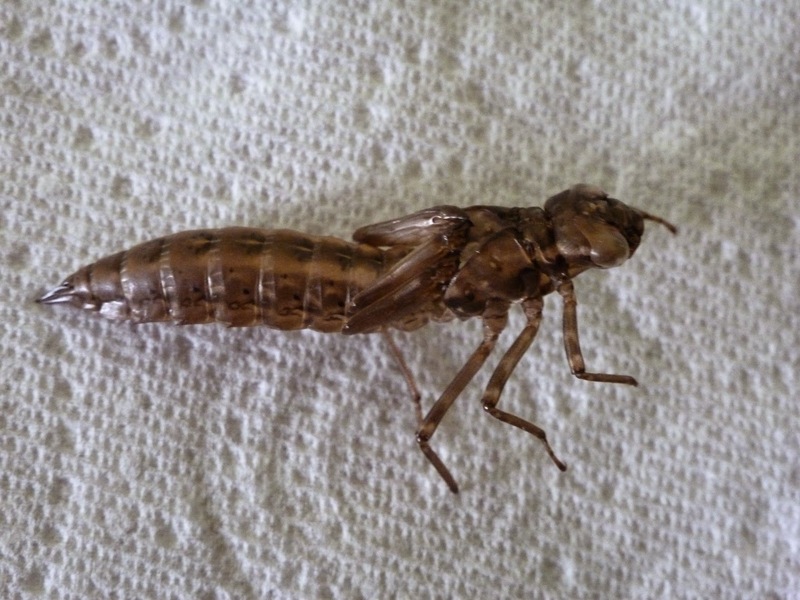 No, this is what is left of one of our free swimming nymphs after it has emerged from the water to transform itself into an adult dragonfly. The problem with having an exoskeleton is that it is a fixed size, and the creature has to shed it in order to grow. 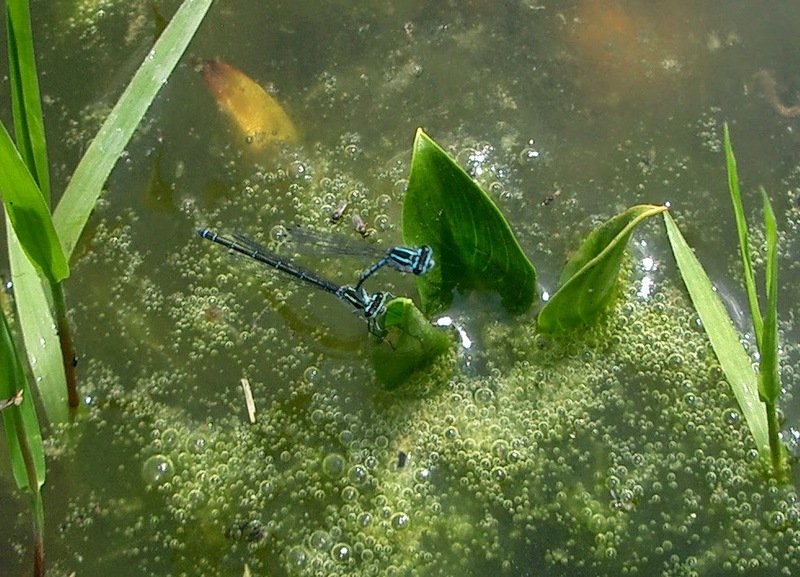 This nymph will have done that several times during its couple of years in the pond. Finally it develops wing buds on the thorax, and at this stage it is ready to emerge. It climbs up out of the water, anchors itself under a leaf, and then the skin splits from the base of the head right across the thorax. You can see the opening in the picture below. First the legs emerge, and an hour or so passes whist the new legs harden. Once this has happened the dragonfly wriggles and tugs until it finally pulls its body free, and the wings slip out of the wing buds. 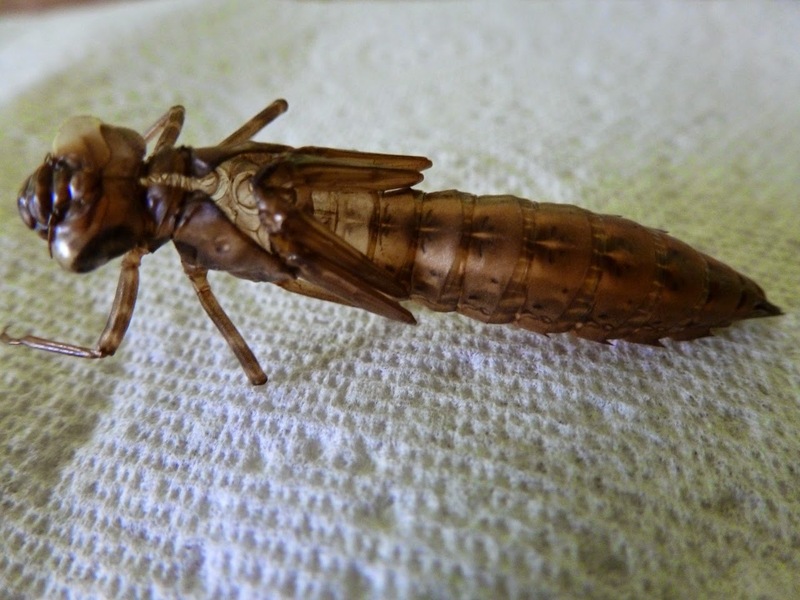 Its old casing (now called the exuvia) is completely empty, and the newly emerged dragonfly starts to inflate its wings, eyes and body to full size - about twice as long as the nymph casing from which it emerged. In our case the nymph was 45mm long, so the dragonfly will have been around 90mm - quite a big one. It's very vulnerable at this stage as it has to hang there quite still until body and wings are fully hardened, which can take a couple of hours. I wonder what type it was? I'm no expert, but maybe some can give me a clue. 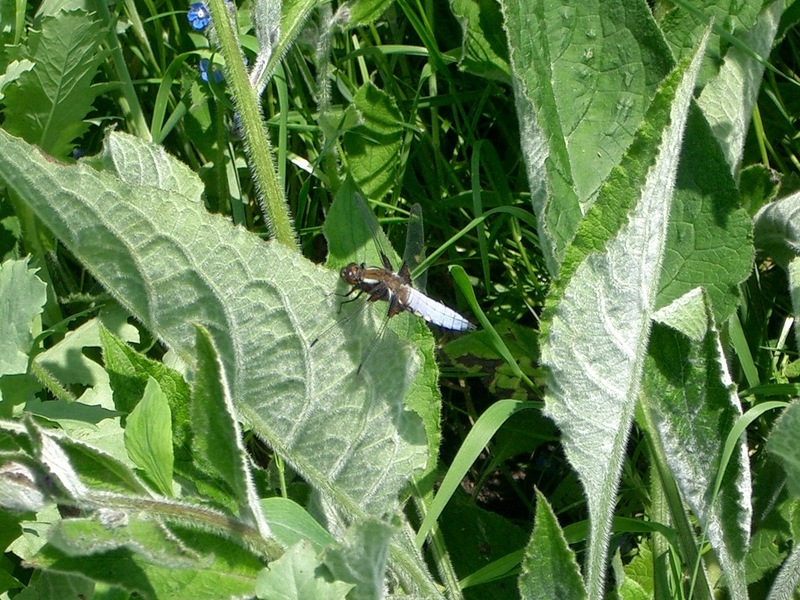 Dragonflies are fantastic creatures, and the picture below is of one of our regular visitors, the rather fab Broad Bodied Chaser. There are quite a few excellent trail diaries on this year's challenge, not least those of my walking mates Alan Sloman and Andrew Walker. 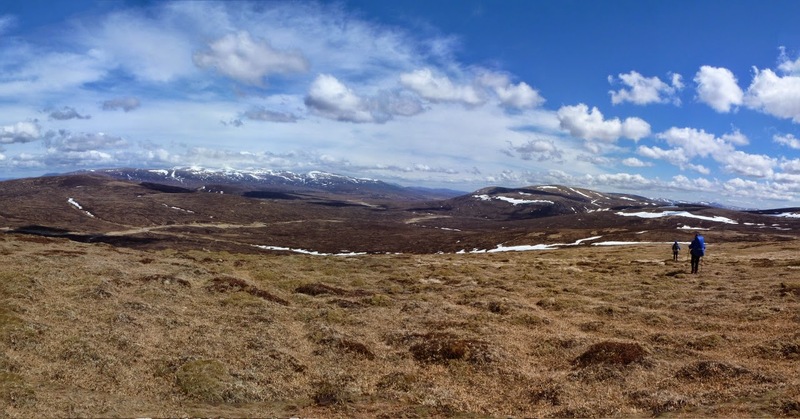 That's them in the picture below, heading east from Glas-leathad Feshie. I have to say, they are both pretty accomplished wordsmiths, so for truly entertaining (if not entirely accurate) reportage, their's are the better places to go. It was another fab walk. Hope you enjoy it too. If you want to comment then pop back here!